Paris, April 3 — The artist Christo is to wrap the Arc de Triomphe in Paris next year, French officials said today. The Bulgarian-born artist, famous for wrapping the Reichstag in Berlin along with his late wife Jeanne-Claude, will cover the massive monument with 25,000 meters of silvery-blue recyclable material. The “wrapping” will coincide with a major exhibition at the Paris gallery of Christo’s work with Jeanne-Claude, focusing on how they wrapped the oldest bridge in the French capital in 1985. “Thirty-five years after Jeanne-Claude and I wrapped the Pont-Neuf, I can’t wait to work again in Paris on the Arc de Triomphe,” 83-year-old Christo said. Instead the wrapping of the “Arc de Triomphe will be financed from the sale of Christo’s preparatory drawings, studies and models and original lithographs of other subjects,” it added. “Nearly 60 years later the project is finally becoming reality,” the CNM said in a statement. 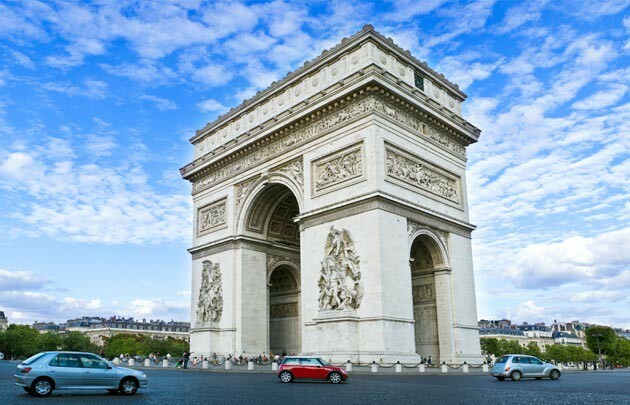 Officials insisted that the wrapping of the monument, which sits at the top of the French capital’s most famous avenue, the Champs-Elysees, will not affect the Tomb of the Unknown Soldier underneath it. They later installed 7,500 vinyl gates along the frozen pathways of New York’s Central Park in 2005.